Let's skip right through the obligatory "I'm sorry I've been a bad blogger" confession, and move straight onto the "But it's okay, because this post is a wowzer". This post is a wowzer. 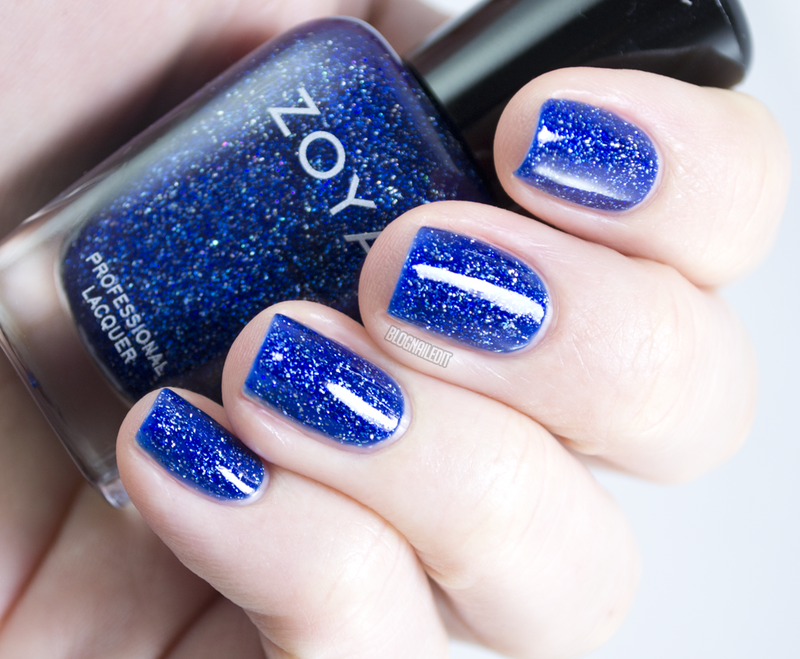 The Zoya 2013 Winter collection, Zenith. 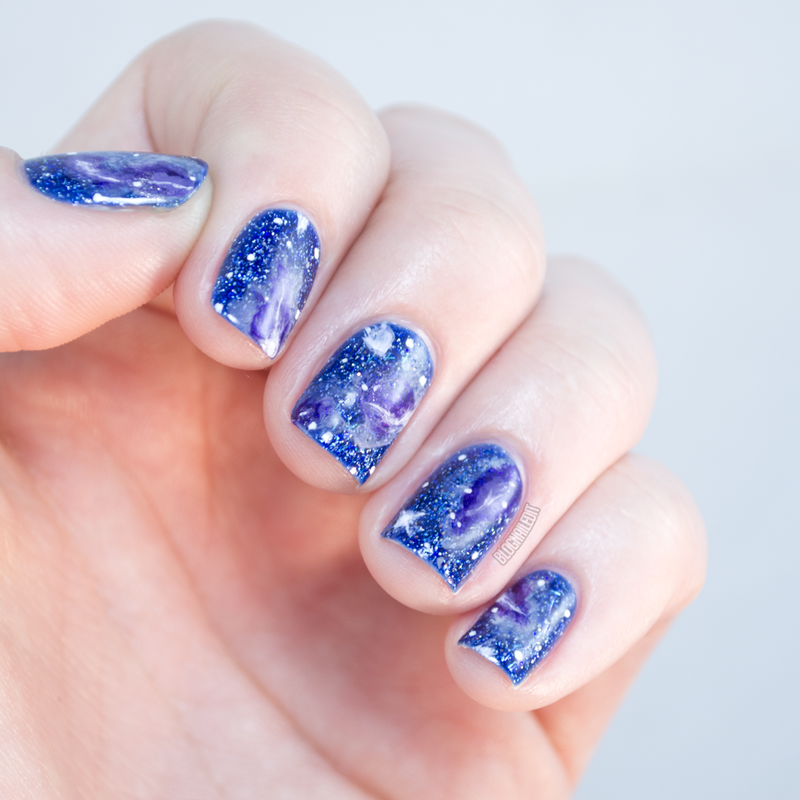 I'd say these are "chilly galactic" polishes, meaning they're all cool tones, and would work well as winter options (maybe why it was released as a winter collection), but also perfectly for nebular nail art. All the polishes I used for the galaxy nails came from Zoya, and most were from the Zenith collection. The Zoya line is becoming a favorite in my vast...vast collection. 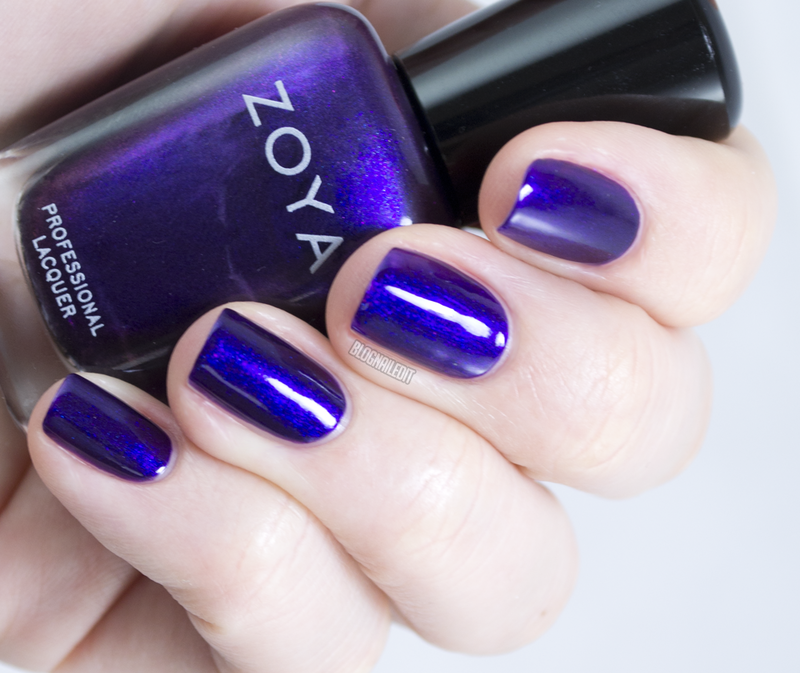 Like most of Zoya's line, application was a cinch. Seraphina and Dream (shown later) needed three coats but all the others needed two (and I only used one for Mosheen). I'll let them do most of the talking though. Mosheen (1 coat over black creme) is a special effect top coat with holographic bar glitter and circular (or maybe hexagonal...my eyes aren't what they used to be) glitter. 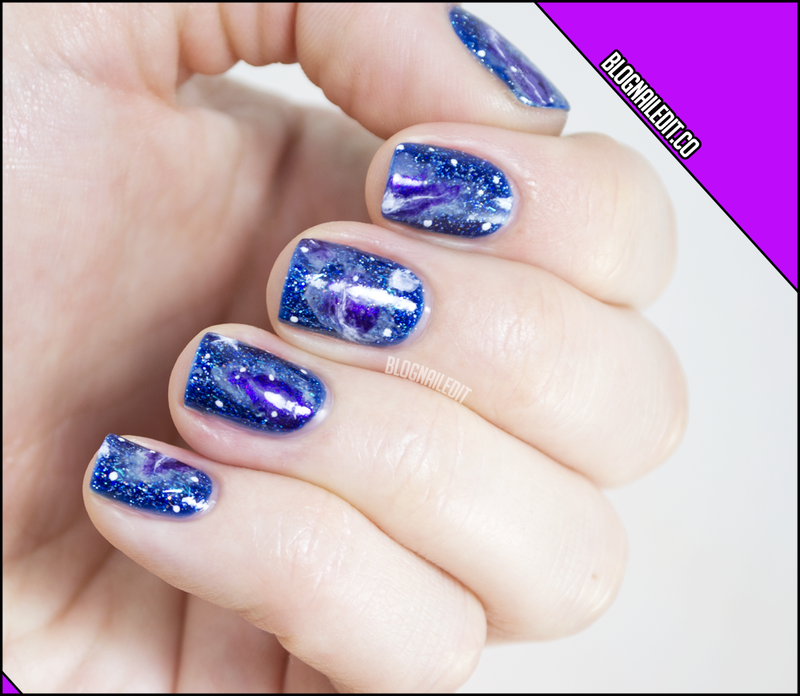 It's all iridescent and sits atop a light blue jelly base. . Can you see it in the galaxy nail art? Belinda (2 coats) is a dark royal purple foil with nearly invisible shimmer in pink, purple and blue. Cassedy (2 coats) is a less chrome-smooth, shimmer-foil than Belinda. (I'm really just making up polish types with these descriptions.) It's a charcoal and green mix, with a little holographic sheen to it, much like Seraphina below. 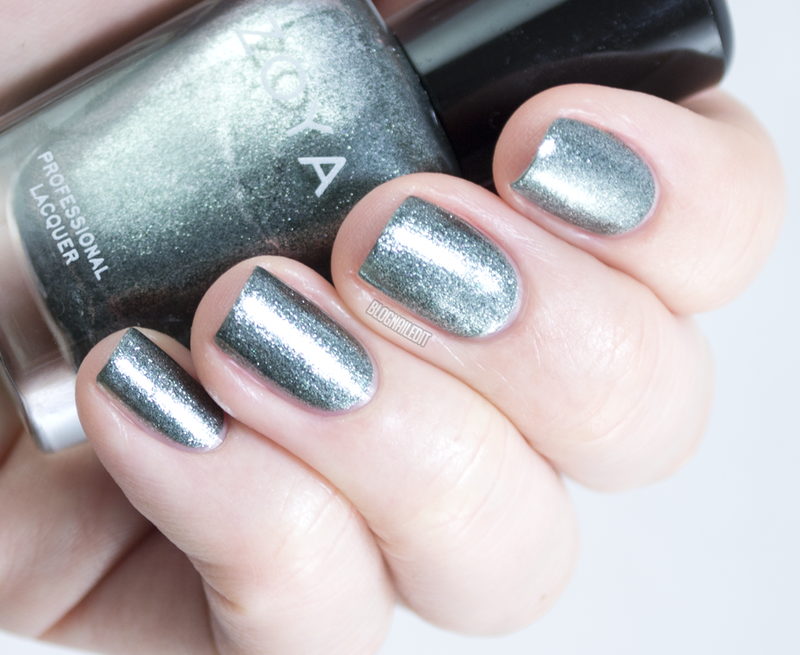 Seraphina (3 coats) is a light silver shimmer. In my notes, I wrote "absolutely perfect", so my affinity for it is pretty strong. It's barely holographic, but in the right light, it is nonetheless. 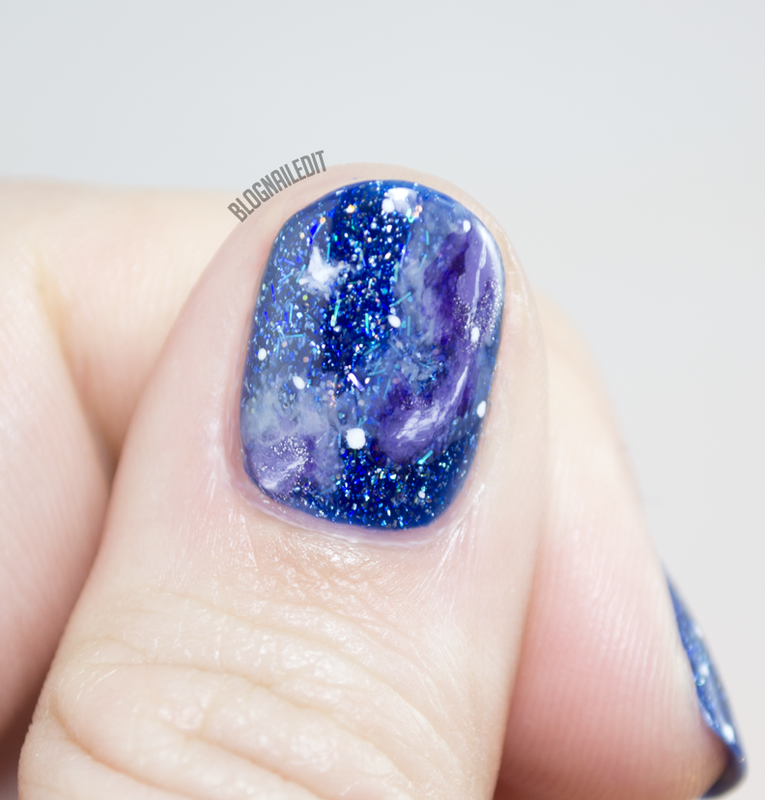 Dream (3 coats) is the nebula nail art's starry base. 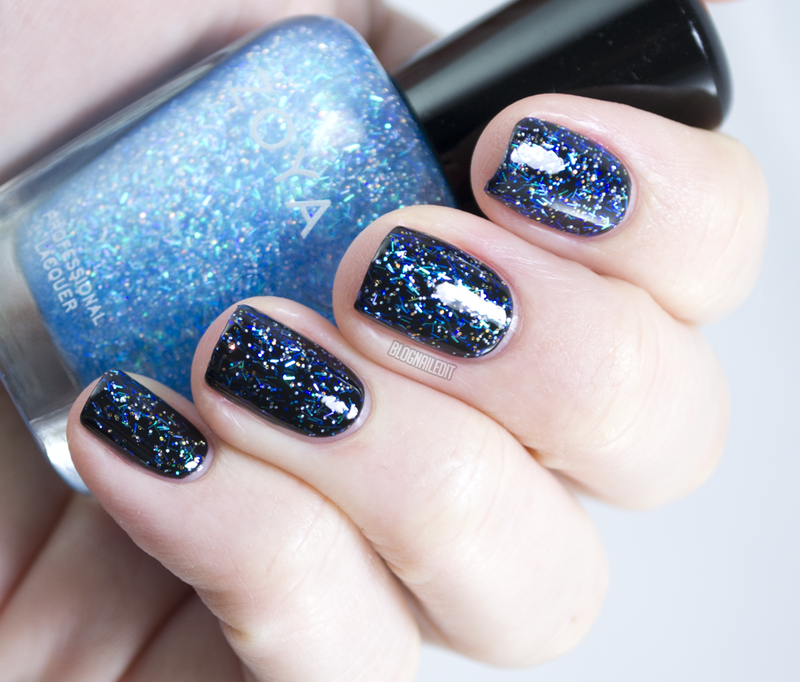 A royal blue jelly with holographic shimmer and small flakies. Payton (2 coats) is a wine jelly with the same holographic/small flakie mix as Dream. Which is your favorite? I'm really having a hard time deciding, but I like the dainty feel of Seraphina. I just can't decide if this ethereal polish beats the mixes in Dream and Payton. The whole collection is still available on Zoya's site for $54, or you can buy the individual polishes, which I've linked in the name of each above, for $9 each. These products were sent to me by Zoya. The reviews are based entirely on my experience with the products and were in no way influenced by anyone. WOW! Really WOW! So beautiful!! Love the galaxy nail art. So whimsical and fun! I love the last one! The colours are amazing!